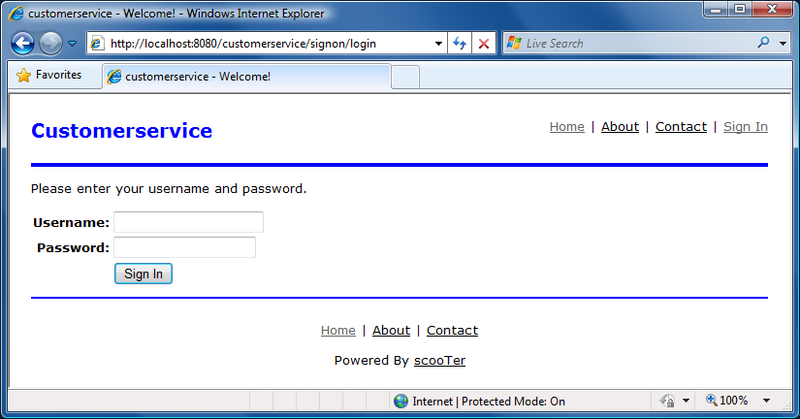 Scooter provides basic login functionality for web applications without requiring much programming. 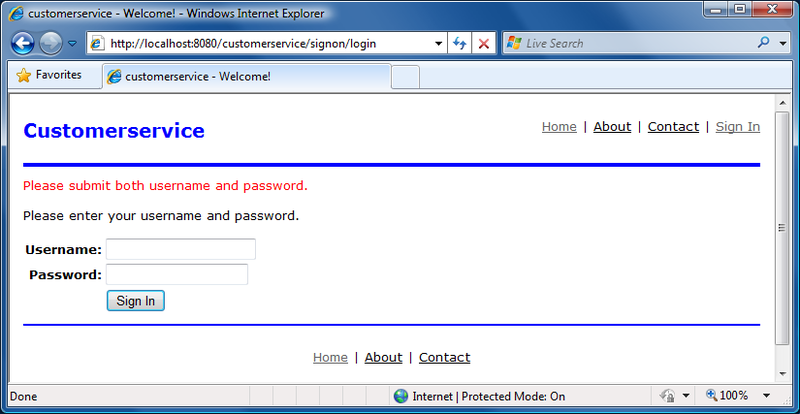 If you do not enter username and password, you will get an error as follows. 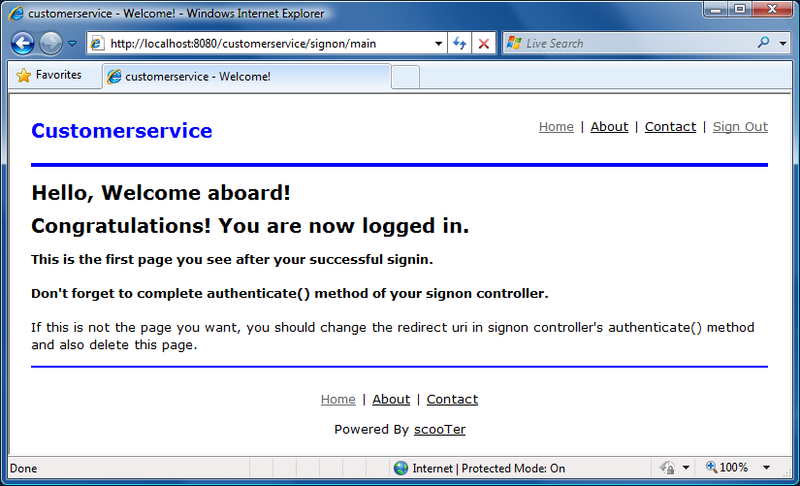 Scooter's generated SignonController has very basic authentication. It simply checks if there are values for username and password. This is achieved through the use of a beforeFilter. Just enter anything in the login screen and we can login. The above is the default landing screen after a successful login. It is located under the customerservice/WEB-INF/views/signon directory. This beforeFilter declaration tells us that all action methods in the EntriesController class are required to be filtered by the loginRequired method of the SignonController class. LoginHeler class provides some helper APIs related to login.